MSD might be out of form at the moment, but there are several reasons why there’s no replacement for him. India are one of the favorites for the Cricket World Cup 2019, to be played in England in May. The team, under coach Ravi Shastri and captain Virat Kohli, tick almost all boxes and have filled most of the gaps to win the world championship. However, the two recent ODI series — first against England in England and then the Asia Cup — have raised a few red flags. India’s outing in the Asia Cup ended on a sweet note. They lifted the trophy for the seventh time in the history of the championship — highest by any team from the subcontinent. However, our middle order batting remains a concern. Not just in the Asia Cup, but in the series in England too — which India lost — the middle order failed to rise to the occasion. A lot of criticism coming the Indian team’s way for this is directed towards a certain Mahendra Singh Dhoni. Questions are being raised on whether he should continue to dawn Indian colors. 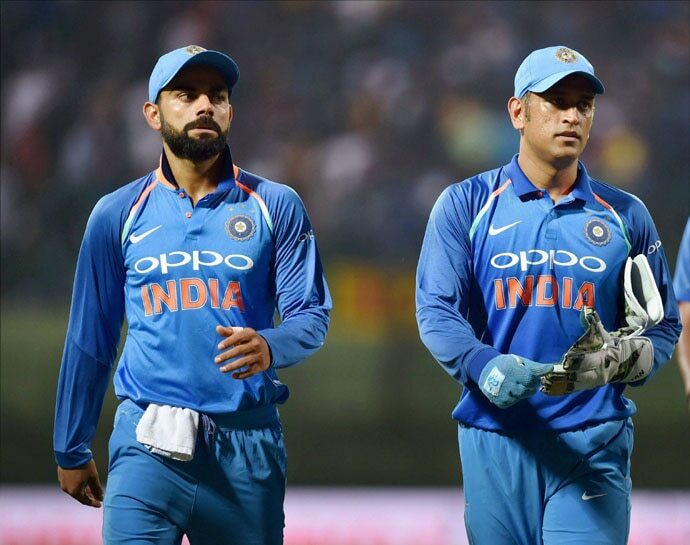 With the World Cup less than a year away, say Dhoni’s critics, it is time for him to hang his boots and let someone else take over the role of wicket-keeping for India in the limited overs format. 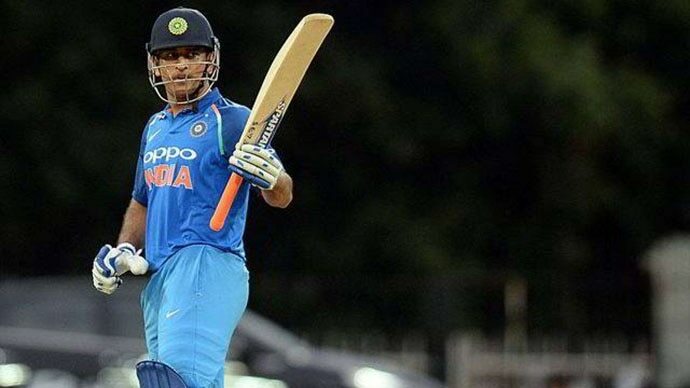 While it is true that Dhoni has not looked his best with the bat in the past few months, it is unfair to say that he does not deserve a place in the side any more. After a successful stint at the IPL’18 for Chennai Super Kings — winning the championship for the franchisee, scoring heaps of runs at an average of 75.83 and a strike rate of 150.66 — Mahendra Singh Dhoni failed to make any significant contribution with the bat for India in the two ODI series they played since the T20 league. In 2018, he averages 28.13 in ODIs, which is way less than his career best figure of 50.61. Being a former captain and senior member of the team, he knows it better than anyone else that he could have done more for his team. MS Dhoni, with experience of over 300 ODIs for India and more than 10,000 runs, is no less than a legend. As we have seen in the past, for big players, getting back to form is just one match away. And Dhoni will come out of it too. Truth be told, India still doesn’t have a replacement for Mahendra Singh Dhoni in the limited overs game. Ishan Kishan, Sanju Samson, and Rishabh Pant are amazing talents. But they are not the perfect replacement for the legend yet. They don’t bring what Dhoni does to the table. Also, with the World Cup less than a year away and India not playing more than a handful of limited-overs matches, replacing someone of Dhoni’s caliber could go two ways. The person replacing him — most likely to be Rishabh Pant — will have massive shoes to fill, with very less time before the big tournament next year. This will mean that every single match leading up to the big event will seem like a test probably too big to handle for the youngster. Moreover, Dhoni’s ouster could make the already shaky middle order look chaotic — something like what South Africa is witnessing after AB de Villiers’ retirement. Now that he is no longer the captain, on paper, MS Dhoni is a wicketkeeper who bats down the order. However, the presence in the dressing room of someone who has successfully led India to multiple World Cup titles is priceless. On the field, he is the man who always has skipper Virat Kohli’s back. The captain looks up to MS Dhoni whenever he needs help, because his game-reading ability is second to none in the team. His assistance from behind the stumps with field placements, to helping young blowers with their line and length, is worth gold and should be a major reason for retaining him. His constant guidance and help to the two mainstays of India’s spin department, Kuldeep Yadav and Yuzvendra Chahal, has turned two rookies into world class bowlers, who have risen to new heights in the last one year. Dhoni’s success rate with the Decision Review System (DRS) is known to all. He hardly ever gets them wrong — to the extent that a commentator in England jokingly said that DRS should be renamed ‘Dhoni Review System’. DRS is an important aspect in cricket at present. Getting it right is important, and Dhoni has mastered the art with great accuracy. At the age of 37, Dhoni, with his economy of movement behind the wickets, remains one of the sharpest wicket keepers in the world. With the record of highest number of stumpings by any wicket keeper, his reputation for lightning quick dismissals and no-look throws force batsmen around the world to stay on their toes. Until we have a wicketkeeper as good as him, the team management should not play around with his position before the big event in May 2019. If India were to fancy their chances of reaching the semi-final of the World Cup’19, MS Dhoni has to feature in their scheme of things in a big way. The captain and coach know this — hopefully the critics too will come around soon. Also read: Can Rohit Sharma replace Virat Kohli as a captain?